.Bountiful.lush.full-bodied theatrical adornment is teeming with High Quality Bali Silver with multifaceted Red Glass beads accented in single stranded necklace with Sterling Silver 925 Multi Round Pendant & red & silver beads dangling in rich complimentary colors that work magic as they delight the senses! A party on your Neck. 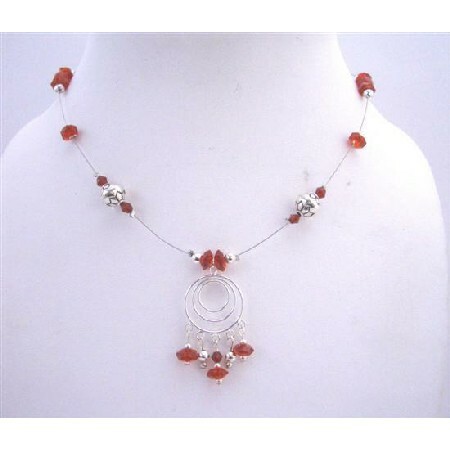 festive Cool Color of Multifaceted Red Glass Beads & Bali Silver Handcrafted Custom Jewelry absolutely unique.